Last spring, when I said I wanted to teach a math class to kids between the ages of 9 and 14 at our local homeschool co-op, people looked at me like I was crazy. “You can’t teach the same math to a 9 and 14 year old.” “Their ability levels vary too greatly to do math in a co-op setting.” That’s what people said. I likely would have agreed with them if not for the fact that I had just finished reading Mathematical Mindsets. That book made me realize that our co-op kids would benefit from an experience where they got to work together on really hard problems, even if they couldn’t solve them. In the end, I was really happy with how it went. If you’d like to be brave and make people think you are as crazy as I am (or just try these out on your own kiddos), I’m sharing the 6 problems we worked on, along with answer keys and reflection questions for kids to self-assess. 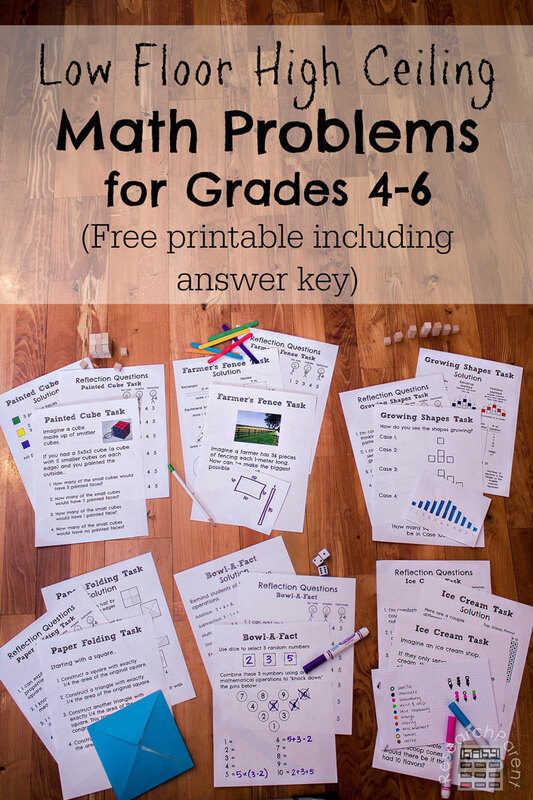 In order to deal with the fact that kids varied WIDELY in their mathematical abilities, I had to pick problems that were not trivially easy for anyone in my class. If anyone found the answer too quickly, that would ruin the fun for the rest of the kids. However, to make sure that the 9 year olds were also getting something out of the experience, I had to pick problems that were easy to understand. In fact, even my 7 year old understands what these problems are asking. Even young kids are able to at least start thinking about these problems, even if they can’t get the answer. These types of problems that are easy to understand or visualize, but difficult to solve, are referred to by math people as low floor high ceiling tasks. They are accessible to a wide range of ages and ability levels. For my co-op class, I chose my 6 problems (one for each class) from the website YouCubed.org. Each week, I tried to bring in manipulatives, markers, or some other tools to make thinking about the problem a little more fun and creative than just working with pencil and paper. Our total class time was about 45 minutes. Each week I’d present the problem and give them a few minutes to think on their own. Then I would provide a large chunk of time for them to work together in groups of about 4. If any group solved the problem, I had them go around and try to help the other groups. In the last 5 to 10 minutes, we’d discuss the problem as a class. We didn’t always get to it, but I also made reflection questions so they could think about what they learned that day. 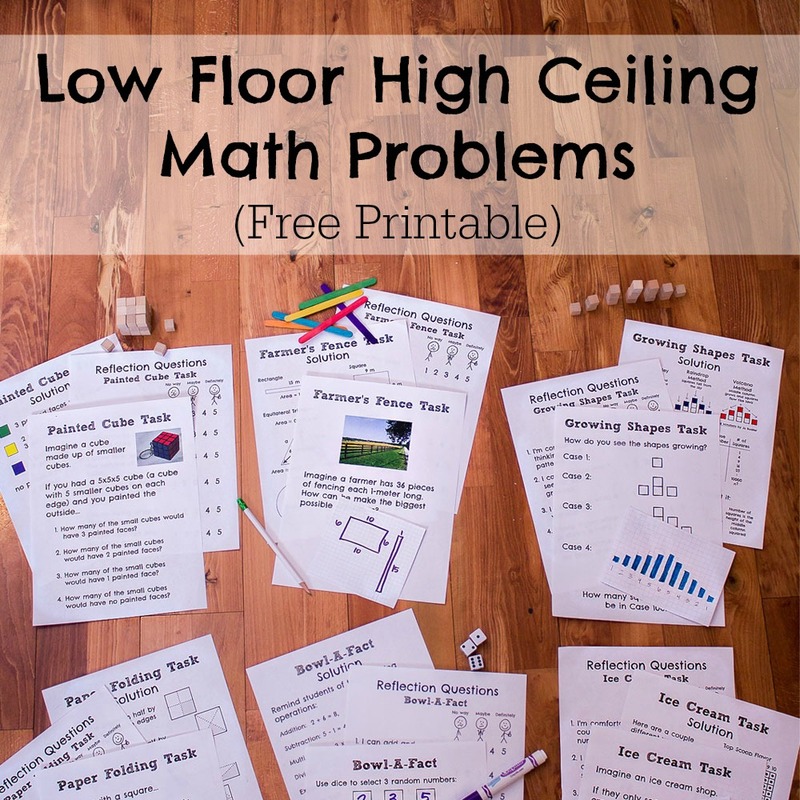 Paper for printing Low Floor High Ceiling Math Problems printable. 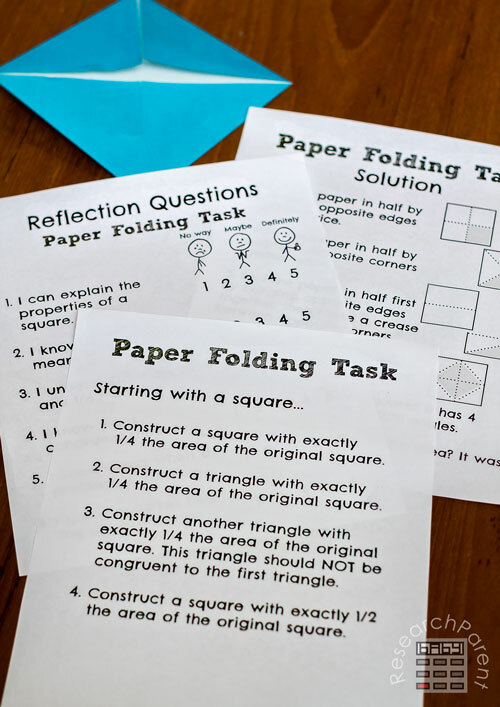 In the paper folding task, you are asking the kids to show how to make shapes that have a fraction of the original size. For example, the first step is to make a square with 1/4 of the original area. This is great for getting kids to think about area, fractions, and shapes in general. The You Cubed website suggests having the kids work in partners and emphasizes having the kids convince each other they have accomplished the task. Instead, I played the skeptic and had them convince me after they had been working in groups for awhile. “How do you KNOW it is 1/4 the area?” “How do you know for sure that it’s a square?” Even with my older students, I found it useful to make them think critically about what words like area and square mean. My students were quickly able to say that a square has 4 sides of equal length. However, it took some leading questions to get them to say that the angles had to be something specific (right angles). The paper folding task was a nice warm-up for me to get to know my students and observe how they worked together. 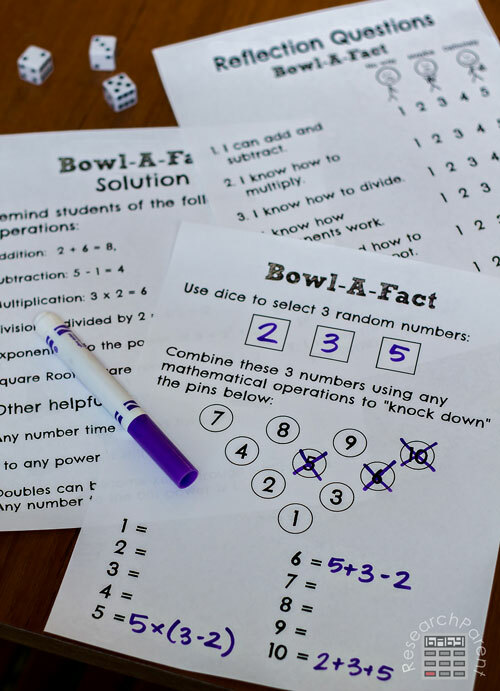 I chose Bowl-A-Fact for Day 2, because like the paper folding, it could be done more independently for those who were a little reluctant to work in groups. I gave kids the freedom to talk to each other, but it wasn’t a requirement. Each kid rolled dice so they each had their own 3 starting numbers. Everyone had to work at least a little bit independently to try to make the numbers 1 through 10 with their 3 numbers. Once they got stuck, they were welcome to talk to their classmates and help each other. I had a lot of fun on the Bowl-A-Fact day helping the kids try to make numbers that the kids thought were impossible. I was able to introduce some of them to the concept of exponents and square roots. At one point I showed them that a student could make 1 out of her roll of 5, 6, 6 by subtracting the 6’s to make zero and then raising the 5 to the power of 0. Any number with an exponent of zero is equal to 1. At that point even my 14 year old said, “Mind. Blown.” I should point out that I don’t think any of my students were actually able to make all the numbers between 1 and 10. The average was probably about 7. As I told them, that’s totally okay! The point is to think about hard problems not reach a certain end point. 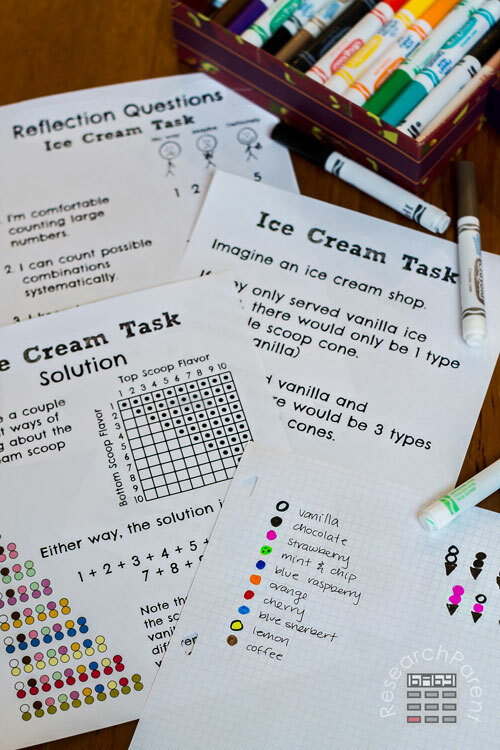 In this task the kids had to work in groups to figure out how many double scoop cones an ice cream parlor could make if they had 10 flavors of ice cream. Of my 4 groups of 4, one group got the right answer by the end of class. This one was actually harder for the kids than I was expecting as several students felt completely overwhelmed by the shear magnitude of combinations. In that case, I told them to start smaller! What if the ice cream store only had 4 flavors. Could they find a way to count the possibilities systematically? As a funny side note, the first time a group came to me with an answer, I said, “I don’t actually know the right answer. I haven’t worked it out yet.” Their response was basically “WHAT? !” in unison. In my own defense, I told them, “Getting the right answer is not what’s important. What’s important is that you are thinking about a really hard problem and working together. Also, I didn’t actually think you’d have time to get an answer.” I then had to do the math myself so I could check their result. While it’s probably better to be prepared, I’m actually glad that I wasn’t. I hope it illustrated to them that I meant what I said. At the end of the day, the process is more important than the number they come up with. When I asked about surface area, I had them first think about how many faces a cube has. The kids started saying 6, because a cube has 6 faces. However, one boy yelled out 54. At first, everyone kind of laughed, including me, because we all thought he was joking. Then I quickly realized, “Wait, you’re right!” Even before I passed out my paper, he was already thinking about a cube made up of smaller cubes, since I was holding up a Rubiks cube. When I gave them the full problem, that boy had no trouble at all visualizing all the different conditions. The rest of the class, however, struggled with it as I anticipated. In the end, it was kind of nice, because that boy was able to explain his thinking to his other 3 group members while I went around to the other groups and made sure they understood what each question was asking. Because we were able to divide and conquer, that ended up being the only day that we had extra time at the end. I used the extra time to conversationally explore the meaning of dimensions. In other words, how a line is one dimensional, an area is 2 dimensional, and a volume is 3 dimensional. I tried to explain to them how they could use that knowledge to make sure their units were right (i.e. meters for length, meters squared for area, meters cubed for volume). 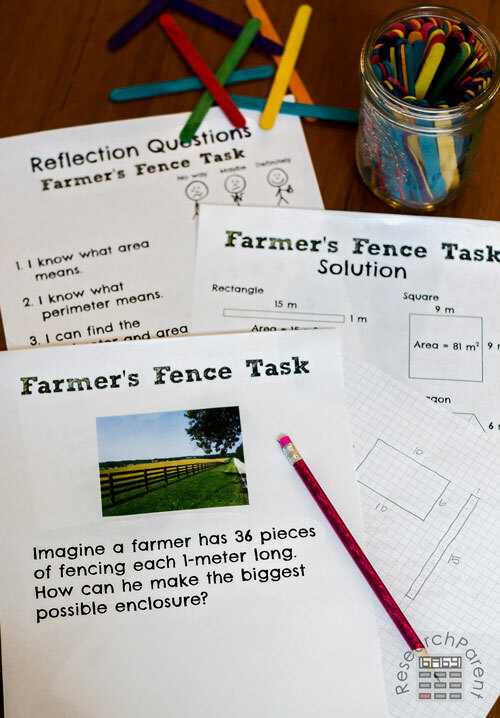 The farmer’s fence task is tricky for the age range of my class. None of them had learned any trigonometry, so they couldn’t find the area of any non-rectangular shapes. However, all the groups were able to determine on their own that the square was the best 4 sided shape. One group wanted to try an equilateral triangle, so I gave them a formula for an equilateral triangle and the realized that was worse than the square. Then on their own, somebody came up with the idea for a hexagon. At that point we came together as a class and I wrote on the whiteboard as they told me how to calculate the area so everyone could discover that a hexagon was better than a square. I then used our remaining few minutes to try to drive home that it was basically impossible to calculate the area of a triangle from just knowing the side lengths UNLESS you knew how to use trigonometry. We didn’t study trigonometry, but hopefully it was good motivation for later learning. This task went about as I had planned. About halfway through the class, I interrupted them from working to talk about the different ways you could visualize how the shapes were growing. I drew a few examples on the whiteboard. I just wanted to make sure they knew that there wasn’t one right way to look at the problem. Then I let them get back to work. Two of my groups got the answer by sheer force of will from adding up all the columns. (That’s a lot of addition!) Before we left, I showed them how to use a table to see the pattern of squares. I also showed them how to visualize moving the columns over to make a square. 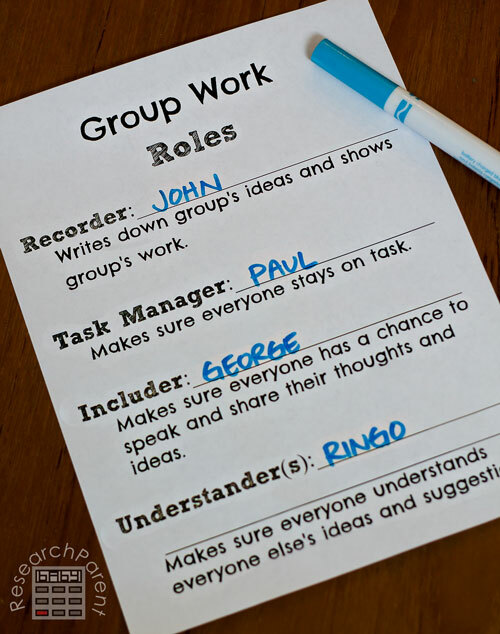 I only ended up using the page I made to assign group roles once in my class. The book, Mathematical Mindsets, says that it’s useful for everyone to have a specific role to keep them on task. On the one day I tried it, I found it took up too much of our class time for the them to decide who should do what. I think if we’d had a longer period of time, like maybe an hour, it might make more sense. It’s possible if I’d stuck with it, they would have gotten accustomed to it and it would have gone faster. The biggest downside to my class was that there were days when a couple of the kids expressed that they didn’t feel like they were learning anything. It’s true that I wasn’t really TEACHING them anything. I can understand why that might seem unusual or uncomfortable to some kids. Teachers are supposed to teach, right? For the most part, I didn’t. I gave them a problem and set them loose. My main task for the bulk of the class period was to just walk around the groups, observe, and offer suggestions when they seemed to have hit a wall or started going off topic. “I had three main goals for this class. First, I wanted to give the kids an opportunity to work together on math. Traditionally, math is taught as a solitary subject. However, in the real world, scientists, mathematicians, and engineers all work together to solve problems. 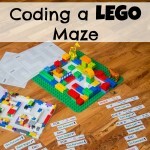 I wanted the kids to know what it feels like to work on hard problems as part of a team. “Second, I wanted the kids to learn that mistakes are good. Sometimes, in the real world, there’s no obvious right answer or solution method. You have to try out a bunch of different ideas before you find one that works. Mistakes are an incredibly valuable part of the learning process. 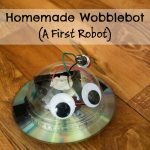 “Lastly, I realize this was a lofty goal, but I wanted the kids to realize that math can be creative and fun. It doesn’t have to always be boring numbers and strict rules. Sometimes, to solve a hard problem, you have to think outside the box. Click here for more Math Activities for kids. I’ll have to see what my kids make of these. Thanks for the printable! I just happened to finally read all these and use them. These are wonderful!! 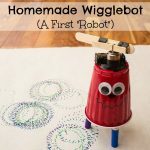 It makes math fun and gets children interested immediately. PLEASE create more of these. 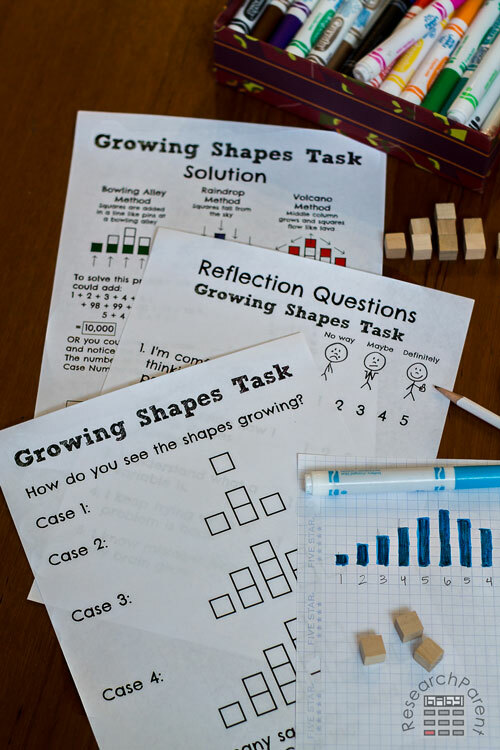 Do you have any other resources that teach math in this way? We love your website. I appreciate how much work you put into this as well as your homeschooling. I’m so glad you like them! 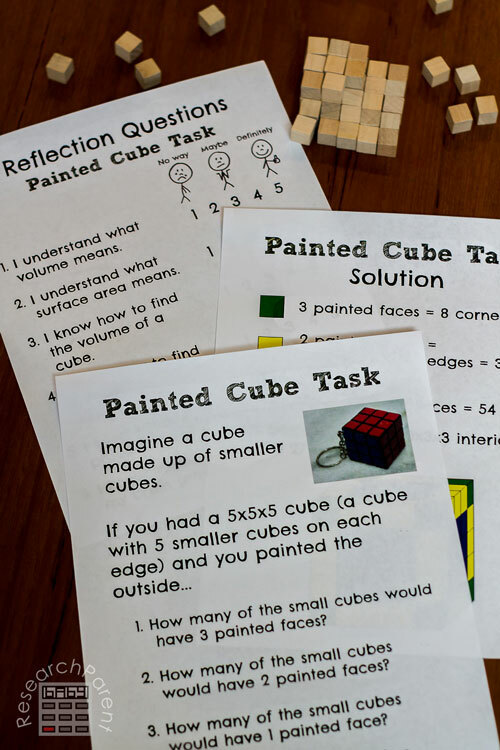 I don’t have any more things like that at the moment, but this You Cubed task website is a great resource!